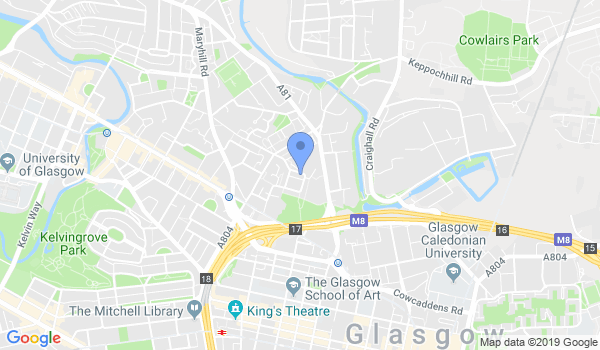 An Aikido club in the centre of Glasgow that practices the Yuishinkai style of Aikido as taught by Koretoshi Maruyama Sensei (a direct student & teacher under O Sensei, the founder of Aikido). Dr. Rob Brew (3rd Dan) is the head instructor. All club instuctors are British Aikido Board (BAB) approved and CRB disclosed. The club is a member of Aikido For Daily Life association and is affliated to Aikido Yuishinkai International, Japan. Our club provides a supportive and creative training environment based on tolerance, equality and ethical values; ours is a dojo of conscious exploration. Students from all styles of Aikido are welcome to train with us as we are non-partisan in our approach. In keeping with the harmonious spirit of Aikido, we encourage friendship with other dojos. Would you like more information on hours, classes and programs available at Aikido Yuishinkai Glasgow? Please contact the school with your questions. Update the details, Write a Review or Report Error of Aikido Yuishinkai Glasgow.